Obituary for Marie A. (Kendzejeski) Biernatowski | Kaczorowski Funeral Home, P.A. 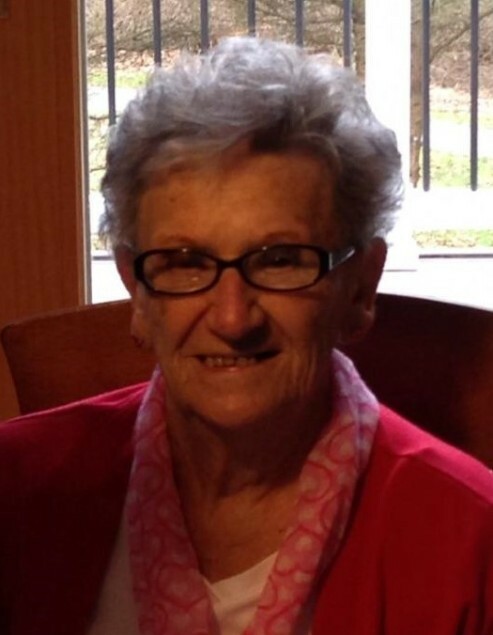 Suddenly on February 10, 2019, MARIE A. BIERNATOWSKI (nee Kendzejeski) beloved wife of the late Stanley Biernatowski, devoted mother of Stanley Biernatowski & his wife Debra, Carol Ann Plajzer & her husband Bogdan, and Stephanie Kirby & her late husband Albert Kirby, Sr., loving grandmother of Lauren Marchand & her husband Brett, Todd Plajzer, James Biernatowski, Albert Kirby, Jr. & his wife Kimberly, Joseph Kirby, Joanna Biernatowski, and Candice Kirby, dear great-grandmother of Dallas and Braxton Marchand, Rowan Biernatowski, and Avery Kirby. Marie is also survived by numerous nieces, nephews, and other relatives and friends. Visiting hours at Kaczorowski Funeral Home, P.A., 1201 Dundalk Avenue on Tuesday from 2-4 & 6-8 P.M. Funeral Mass in St. Casimir's Church on Wednesday at 10 A.M. Interment in St. Stanislaus Cemetery.